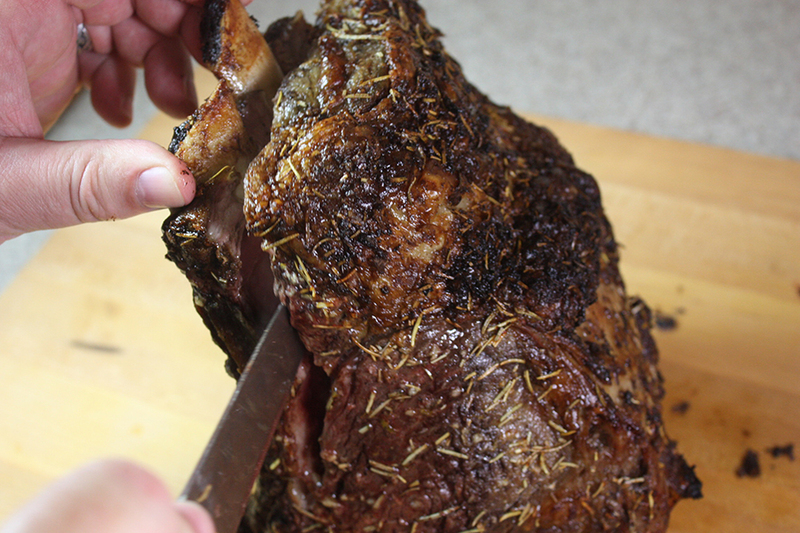 Do you have trouble accomplishing the perfect temperature for prime rib? I did, until now! I can’t even begin to tell you how angry and disappointed I have been with overcooked prime rib made in my kitchen. When you spend that kind of money on a really good piece of beef you want it to be perfect, right? I found a video of Method X from Food Wishes that walks you through the method in detail. This method works perfectly. The temperature of the prime rib when cooked is slightly warm but with the au jus, each bite is ah-mazing! So here is how it’s done. The prime rib must come to room temperature before roasting. This step is critical in the process. Overnight or a minimum of 6 hours. Mix the softened butter with your herbs of choice. (We used rosemary and garlic.) Brush the butter mixture all over the roast. No matter what method you use (traditional or Method X), you should always have a probe style thermometer inserted so that the internal temperature can be monitored, to avoid any chance of over-cooking. Set the probe alarm to 125 F. for medium-rare, just in case, and pull the roast from the oven even if there’s still time left on the timer. Now you use the formula for roasting. Multiply the exact weight times 5 minutes. For me, it was 5.81 x 5 = 29.05 minutes, which we round to 29. Preheat the oven to 500 degrees. Place the roast in and cook for the exact amount of minutes required by the formula. After that time turn the oven off and set a timer for 2 hours. DO NOT OPEN THE DOOR FOR ANY REASON DURING THE 2 HOURS. Remove your prime rib from the oven. Remove the bones for easier slicing. 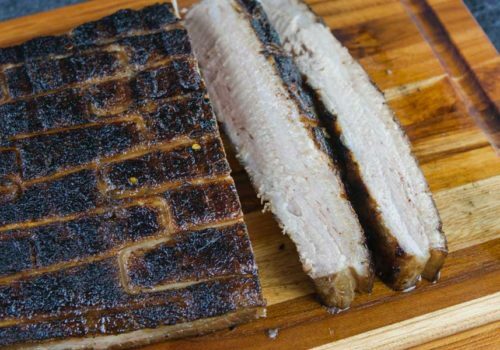 Slice and serve with a side of au jus. I hope you will be as impressed with yourself as I was when this beauty came out of my oven. Prime Rib - This method makes perfect medium-rare every time! In a small bowl, mix the softened butter, herbs, garlic, and pepper together. Spread butter mixture evenly over the prime rib. Sprinkle kosher salt thoroughly over entire roast. 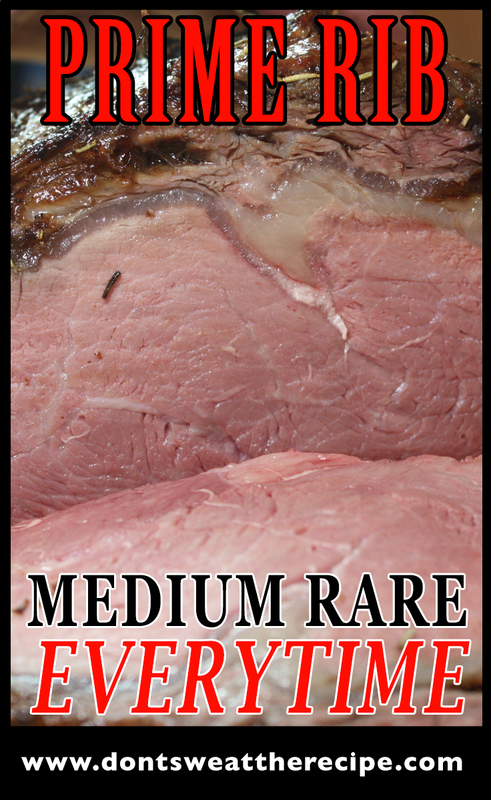 Multiply the exact weight of your prime rib times 5 minutes. Round up or down according to your results. Roast the prime rib at 500 degrees for the amount of time yours requires. Turn oven off, do not open the door, leave in the oven for 2 hours. Remove the roast from the pan and set aside. Place roasting pan on the burner at medium-high heat, remove all but 1/4 cup of fat and drippings. Add beef broth to the pan, scrap to remove the bits from the bottom of the pan and bring to boil. Reduce to your preference, about 1 1/2 cups or less. Wow! I’m going to try that for Valentine’s Day! It looks delicious and so easy. This looks amazing! My Dad makes a great prime rib but I’ve never tried it myself. 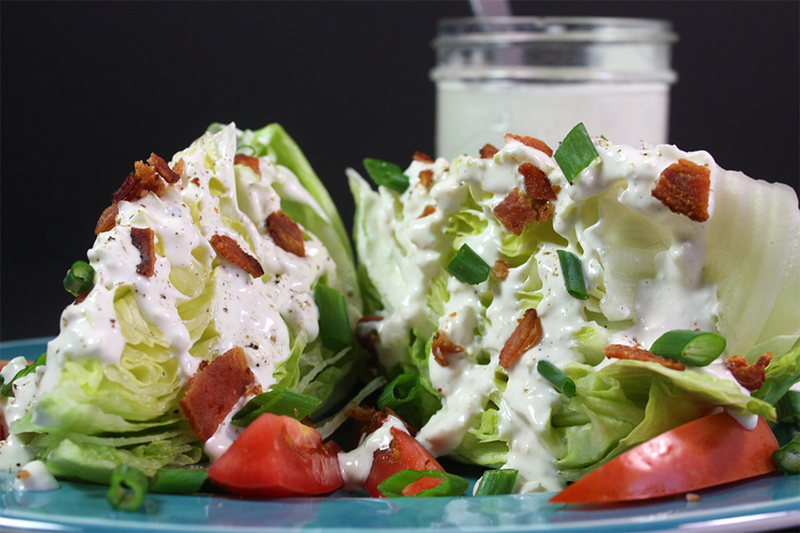 This looks like a perfect recipe to start out with! Thank, Meg! This recipe works perfectly! 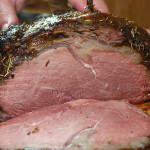 What a very special Prime Rib Roast, this looks fantastic! Hope you have a very special Valentine Day and thanks so much for sharing with Full Plate Thursday. Love this method!! So easy & works!! Oh my gosh, I am not even hungry right now; but this looks amazing! Pinning and will making for sure!! Thanks for sharing it with SYC. What a beautiful Prime Rib! It looks delicious! Thanks so much for sharing at Celebrate It! Blog Link Party! 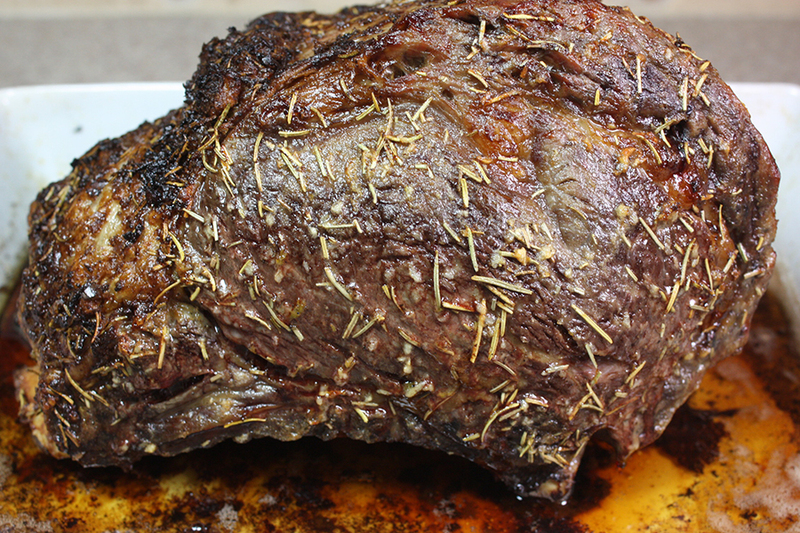 Love prime rib – and yours looks fabulous! Thanks for sharing with us at Foodie FriDIY!! Hope to see you again this week! I’m sitting here doing my thing and visiting all the linkups for Brag About It and my husband is sitting next to me reading a magazine, all of a sudden he puts the magazine down and points to your link. I believe your Prime Rib Roast will be on the menu next week! Thanks so much for sharing. Pinning too. LOL Thank you, Laurie! It was a true hit with my husband. ohh this prime rib looks delish! 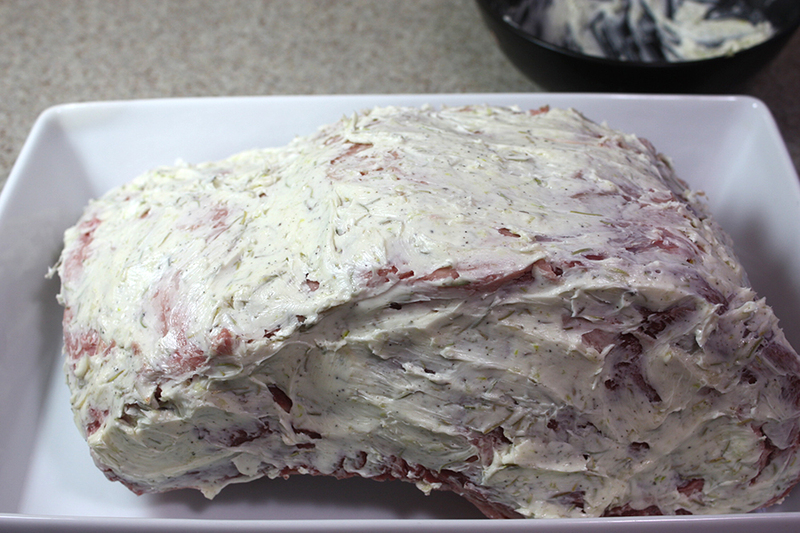 I love me some prime rib, this will be a treat to make and eat! Thanks for the recipe! 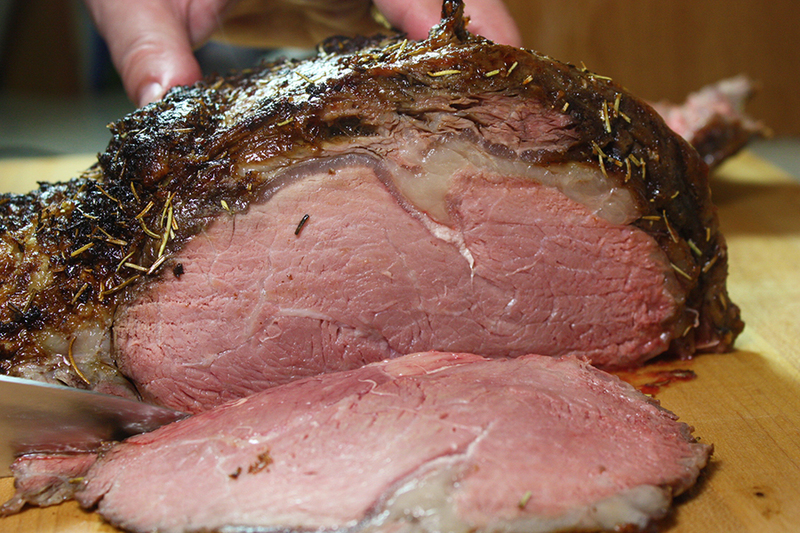 This prime rib looks so good…I’m drooling. I’m also pinning and tweeting this post. I wish I had a prime rib roast. I definitely always leave my roast out for an hour before cooking. Love the delicious coating you used. Thank you so much for sharing your recipe with us at the Hearth and Soul Hop. This looks so delish! Really delish! I’m starving, I haven’t started dinner yet, and no, I don’t have a Prime Rib in my frig, but I’m thinking that I need to get one soon. This one looks perfect and the pink is gorgeous! I can imagine this with a spiced horseradish sauce and some garlic mashed potatoes! Yum! My husband is the griller in the family, I’m going to pass this on to him, but I Pinned and Yummed it so the world could see this too. Everyone deserves a great piece of meat! Any suggestions for a bit rarer? Hubby prefers it that way! Everything else about this sounds great!!! Colleen, I’m not an expert cooking it rare. I’ve overcooked a few in my day. I would suggest cutting back on the high heat roasting time and definitely use a meat thermometer. You might also want to remove it from the oven a little sooner. I hope this helps! So much anxiety when I do Prime Rib. 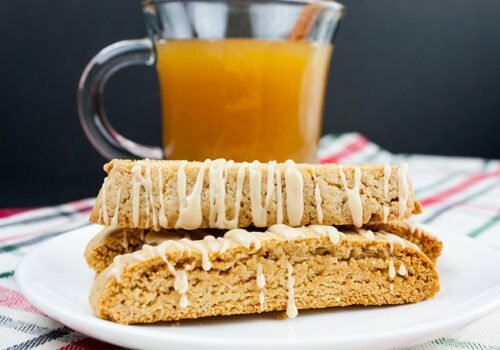 found this recipe before Christmas, so I decided to give it a shot. I will definitely use this guide again. It turned out perfectly (my daughter-in-law cooked hers more fully) but the rest of the family loved as did I. The only thing that I changed is that I used a rub from the meat counter instead of the butter and herb rub. Also, mine was bone-in. So happy to have found this recipe. Hey, Ann! Thank you so much for coming by to tell us you liked the recipe!!! !